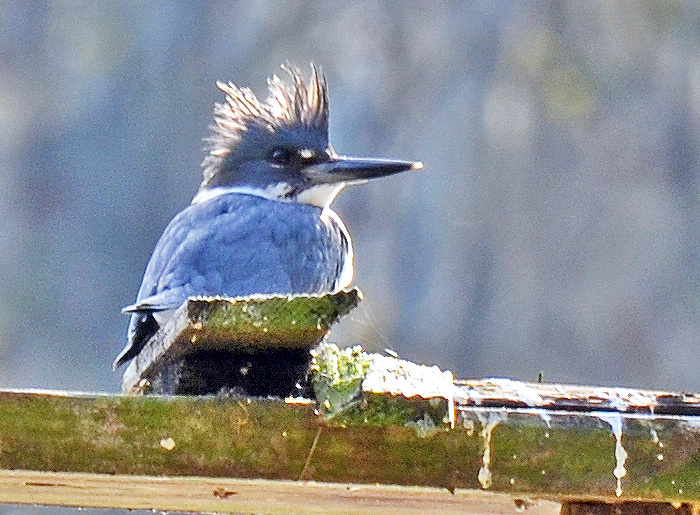 Perching on a post that once held a nice birdhouse is this belted kingfisher Megaceryle alcyon. This species is a stocky, medium-sized bird and nests in a horizontal tunnel made in river banks or similar sand banks. I will definitely try to get some better pictures soon.